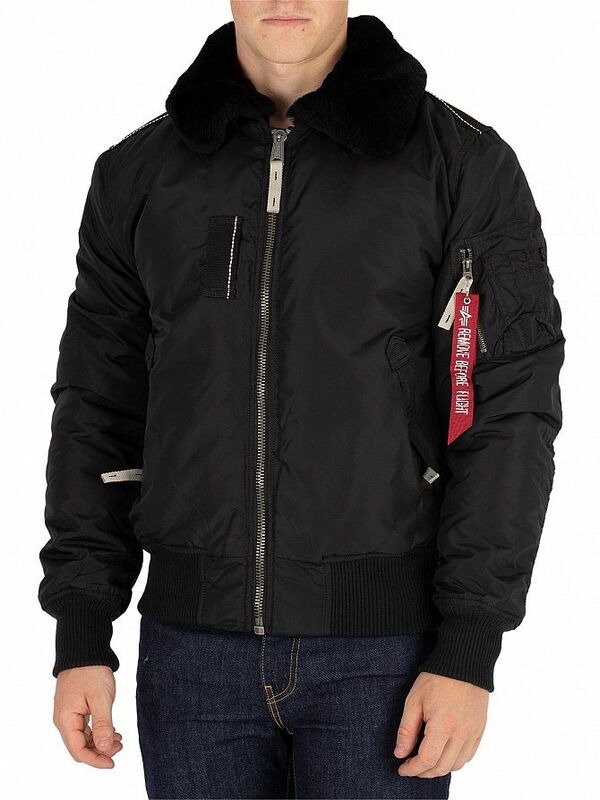 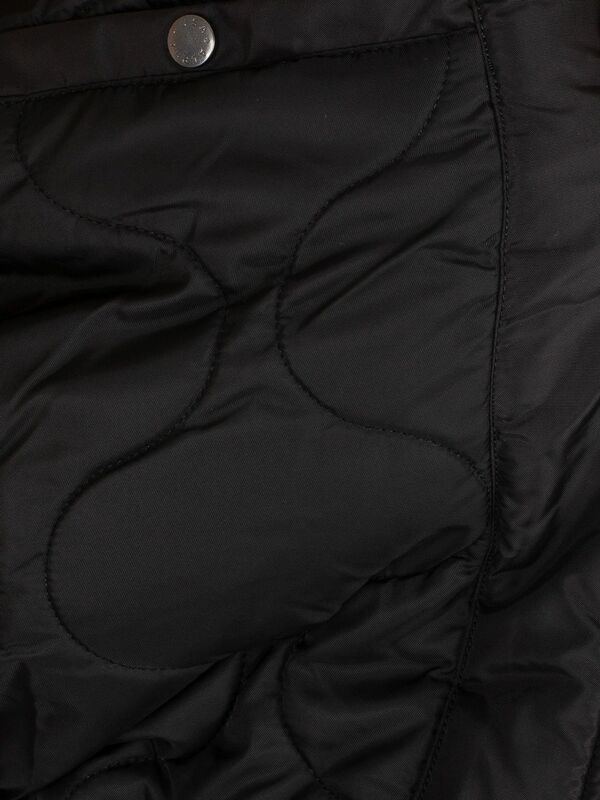 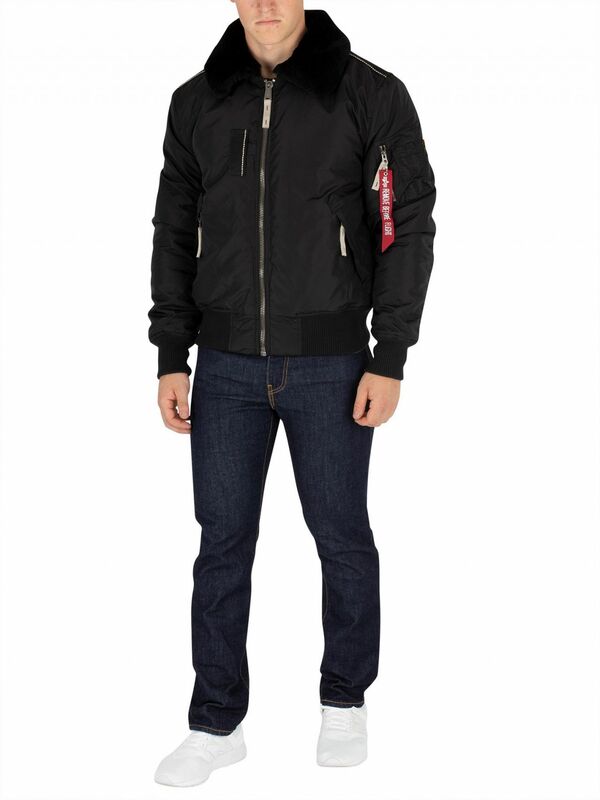 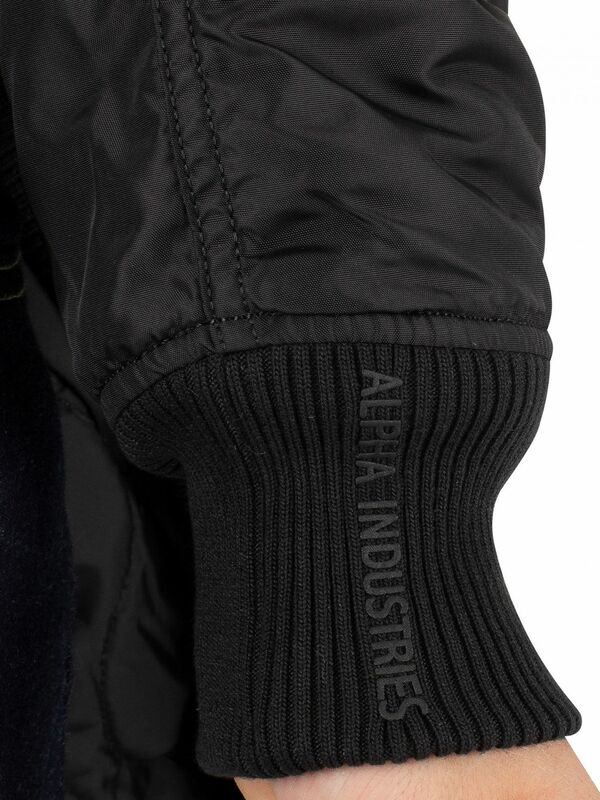 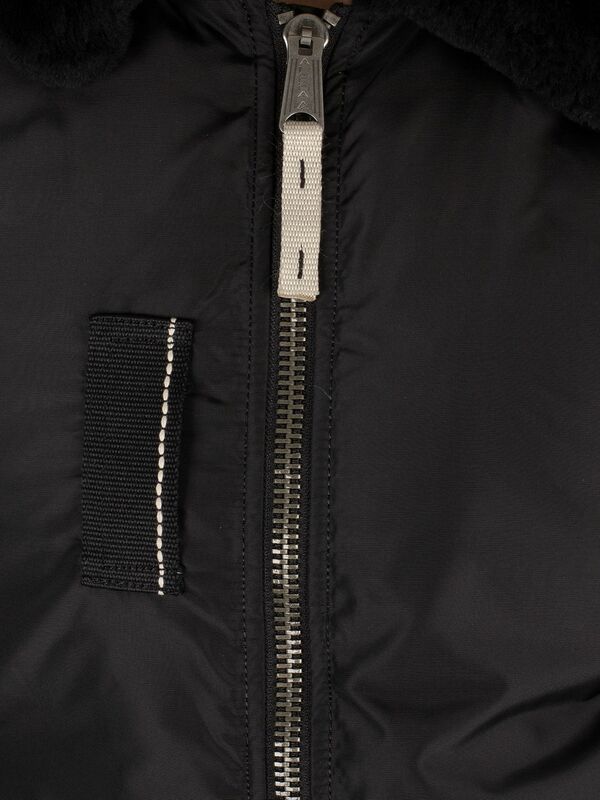 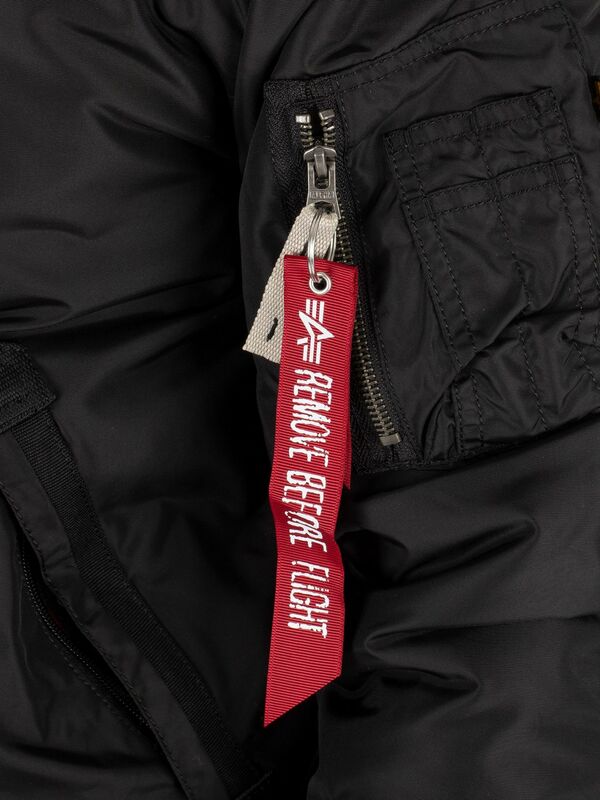 Alpha Industries Injector III Jacket in Black featuring sherpa collars has two front zipper side pockets, one pocket with brand tab. 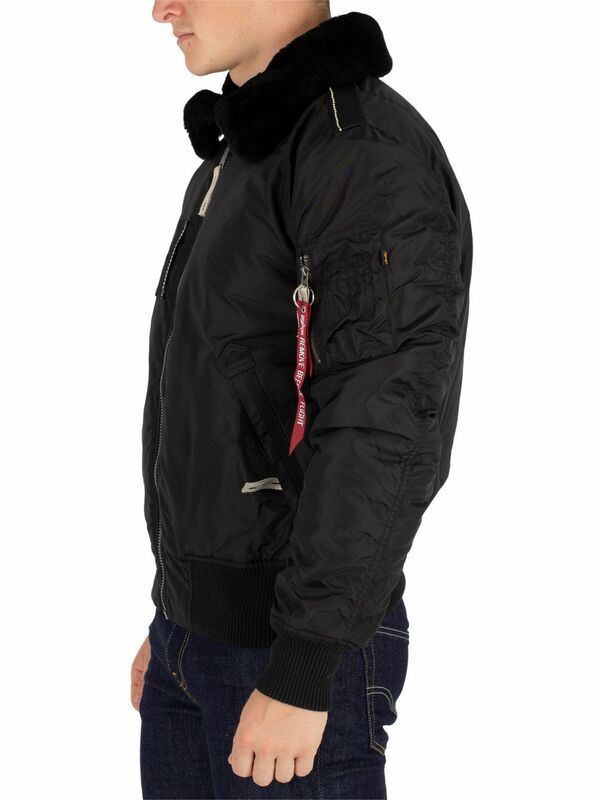 This jacket for men also features Alpha Industries patch on left sleeve, front zippers, button stand, and drawstrings from the hood. 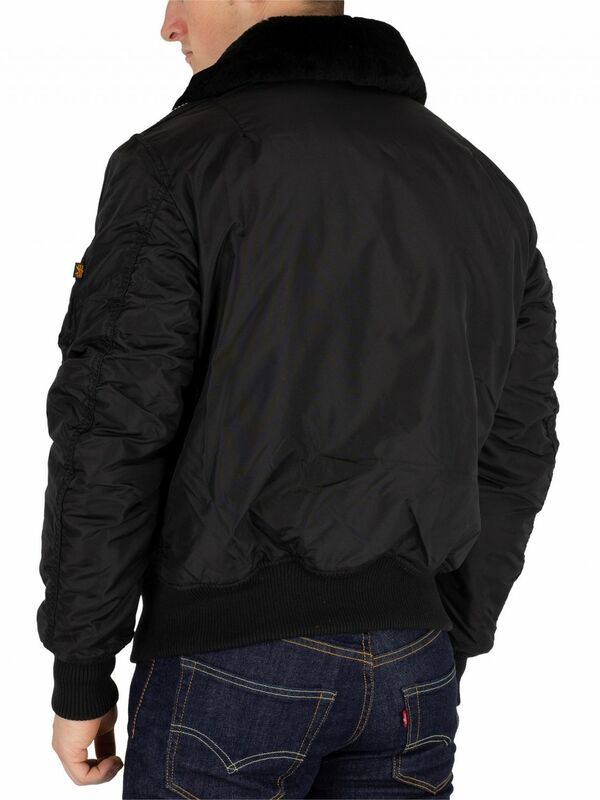 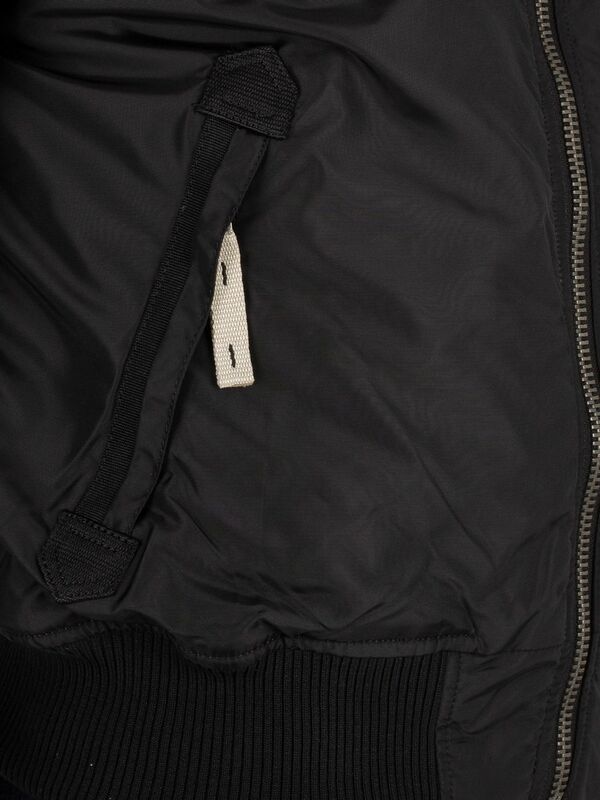 This jacket also features elasticated and ribbed cuffs and hemline. 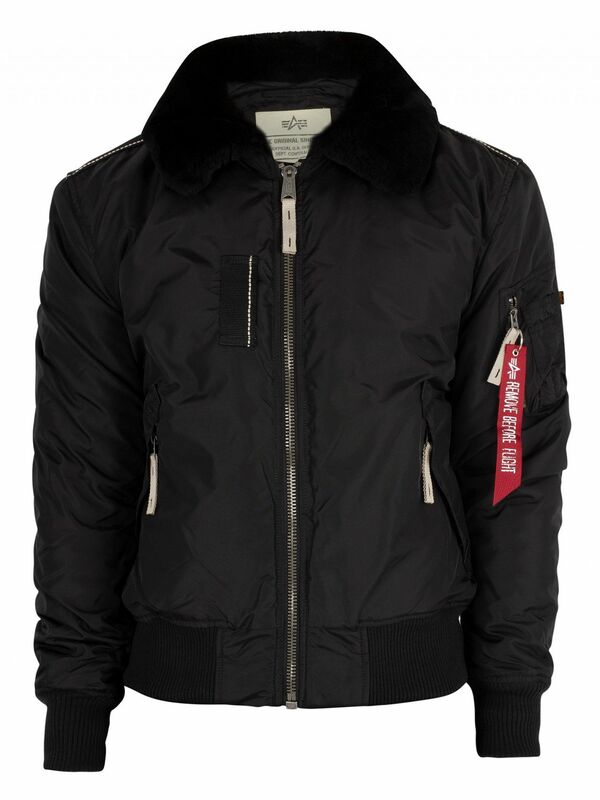 View similar Alpha Industries or similar Bomber Jackets.